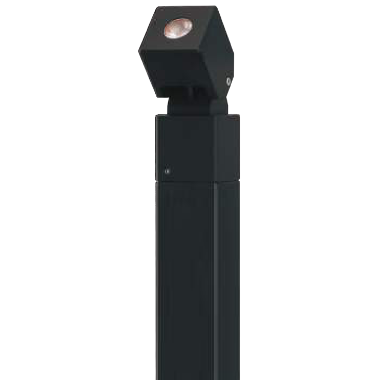 The Cube Pole Spot is ideal for path lighting or tree lighting. These innovative fittings have an adjustable head that tilts through 180° and features the Cube range style of a simple yet bold design flair. This luminaire is constructed from solid aluminium finished with a polyester UV stable powdercoat.